Anyone who is, or has ever been, an employee understands the importance of employee experience. Where it rates on the importance meter may not be the same for everyone but I think we can all agree that when it comes to the place you’ll most likely spend at least 1/3 of your life, the better you feel about being there, the better you’ll feel all around. An article in Forbes even called 2018 ‘The Year of Employee Experience.’ Well, it’s about time more employers started paying attention to it! Employee experience (EX) refers to the totality of every interaction an employee has with their employer including how the employee feels about working there. Whether the experience is positive or negative impacts productivity, happiness, tenure and whether the employee would recommend the employer as a good, or great, place to work – among other things. Employee experience is NOT employee engagement. Engagement contributes to experience but they are not the same thing. Employee experience is not just about having fun. Don’t confuse simply providing some fun things to do with designing a complete employee experience. As an HR professional, an employee, and an individual, I’m very interested in EX, what it looks like in different organizations and how organizations can create the best positive experience for their employees, realizing that it won’t look exactly the same for each organization. It’s also important to remember that individuals experience experience differently. When crafting an employee experience that will make people want to join and stay at your organization, remember that one size rarely fits all. Why are companies focusing more on user experience (UX) and customer experience (CX) than employee experience (EX?) And what can we do about it? Excellent questions! Employees are the ones who determine and implement what it takes to make the UX and CX experiences positive for others, why would it not be deemed equally as important, if not more so, to make the work experience positive for your employees? Let’s talk about it. Join me in Philly on August 15 to discuss key components of designing an employee experience. Use code TAMARA5 for $5 off the registration fee. BONUS ALERT: I will be part of a panel discussion on Diversity in the Workplace. Diversity is but one ingredient in the employee experience recipe but it’s an important one. Among other things, diverse teams inspire creativity, promote innovation, are more productive and perform better. Employers must value different dimensions of diversity along every step of the employee experience – from pre-hire to post-employment termination. Interested in how to do this? Let’s talk about it. Employee experience is and will continue to be critical not only to business success but to individual success. Let’s make sure we treat our internal stakeholders (employees) as well as we treat our external stakeholders (clients/customers/users/members.) Not only is it good business, it’s the right, and smart, thing to do. Philadelphia – We’ll turn the ‘City of Brotherly Love’ into the ‘City of Employee Love’ for a day. *The IBM Institute for Business Value has developed some easily digestible graphics regarding employee experience. The images below are property of IBM. I just looked up and realized SHRM18 is about a month away. Wow. Chicago, here we come! 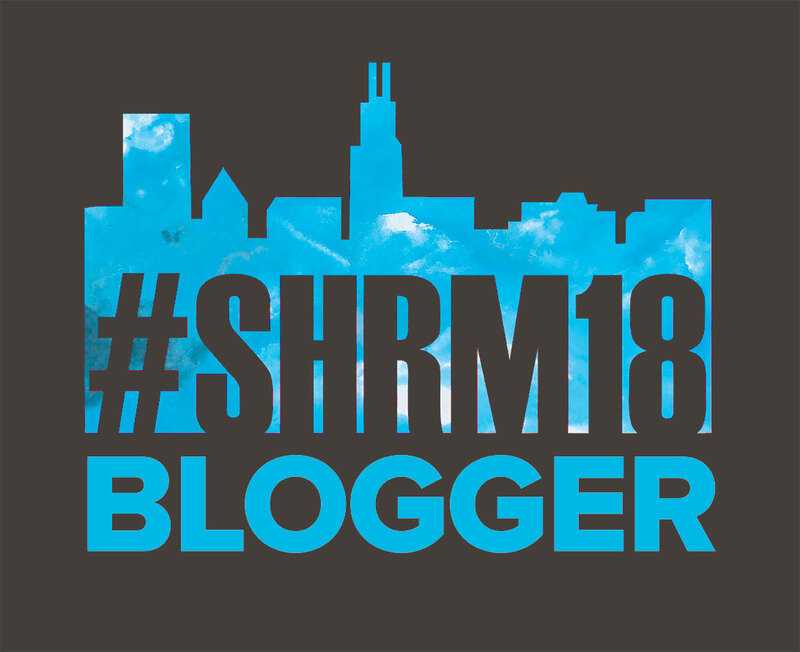 As you know, I have the honor of being a part of the SHRM18 Blogger Team and as such have conducted Q & As with three of the speakers who are having sessions. I’ve already posted Karlyn Borysenko and Joe Gerstandt. Last, but certainly not least, I have Richard Fagerlin who gave a FANTASTIC presentation at SHRM17 on the topic of trust and is back for SHRM18 to keep the message going with his session: HR’s Role in Creating a High-Trust Culture: Tips, Tools & Techniques to Increase Your Trust Factor. Richard Fagerlin is the president of Peak Solutions, Inc. a leadership development firm dedicated to helping companies invest in their greatest asset — their people. Richard travels the U.S. and internationally as a dynamic trainer, facilitator, and keynote speaker. As a leading authority on the topic of Trust he has four times (2015, 2016, 2017, 2018) been recognized as one of the 100 top Thought Leaders on Trust by the organization Trust Across America – Trust Around the World. As the author of Trustology: The Art and Science of Leading High Trust Teams, Richard has left an impact on thousands of people through his powerful, poignant, and often humorous talks on trust where he will challenge your long-held beliefs on the issue of trust. Humorous and challenging – what more could we ask for? Richard was kind enough to take some time to answer my questions. As usual, I will not edit for length but comments I found particularly poignant are in bold. RF: HR’s greatest asset to an organization is in shepherding the alignment of mission, vision, values and objectives of the organization with the human systems that make these all happen. Said differently, HR is the guardian or gatekeeper of organizational culture. The funny thing about culture is that I don’t think you can change it. Culture is a result of what you do. If you want a different culture you have to do things differently. You can’t change culture by the stroke of a pen and with a well crafted memo or email from the C-Suite. 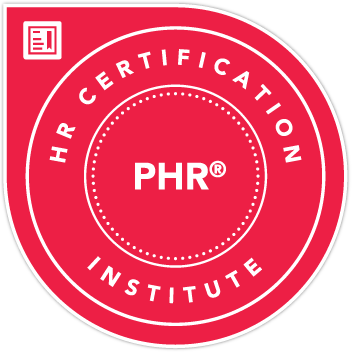 We believe that every organization is perfectly designed to get the results it gets so it is HR’s responsibility to make sure that the current culture is what will drive organizational mission and vision and if not, to help alter the design to get different results. Equally important is to make sure that if the culture is in fact what you are looking for and what works for you that HR takes time to examine what is being done (or not done) to achieve this result and to help protect and preserve the culture that is driving high trust, that is driving performance, that is driving impact, etc. TR: Why do some organizations have a high-trust culture while others do not? RF: Organizations that have high trust cultures have proven by their actions and areas of focus that it is important to them. Not to oversimplify this complex issue but in every organization we have worked with that has high trust it is something that is valued, worked for and on daily and embodied by the very top of the organization. High trust organizations have significant clarity of purpose and leaders provide clarity and focus to their team members. There is a spirit of openness and vulnerability and there is a sense that others are “for you.” Difficult decisions are made that show a bias for living out high trust values, even when it may slow down progress, cost time and money and make people uncomfortable. Organizations that don’t have a high trust culture have a bias for speed and performance, sometimes at any cost. Respect for the individual is low and employees make too many decisions based on fear instead of making decisions based on what is the right thing to do. Bottom line, it starts at the top. You cant have a high trust culture if there isn’t cohesion and trust at the executive level. Period. TR: What’s the easiest way to determine the level of trust that exists in an organization? RF: Are people for each other and do they give each other the benefit of the doubt? It’s not blind trust, it is a vulnerable strength that is shown by the way people admit fault, accept responsibility and react to mistakes. TR: Why is a culture of high-trust so important to an organization? How does it impact other areas of business? Organizations with high trust have lower turnover, greater productivity, less absenteeism and as an added benefit…employees simply like their jobs more. It touches all areas of the business and puts immediate benefit to the bottom line. TR: What is the biggest takeaway you want attendees to get from your session? RF: I want them to walk away with a different perspective on trust and to understand the role they play in creating a culture of high trust. Bottom line, it starts at the top. You can’t have a high trust culture if there isn’t cohesion and trust at the executive level. Period. This is so true. One of my biggest takeaways from SHRM17 is that culture is not what you say, it’s what you do. Not that I didn’t already know that, but hearing it from multiple sources was affirming. Actions must align with words and it all starts with trust. You can’t have an organization that values communication, innovation, honesty, etc. if the trust isn’t there. It will never work. If the trust isn’t there, you can’t even say you value people for real. I’m looking forward to attending Richard’s session this year and taking copious notes. I hope to see you there! I was inspired to write this post for a few reasons. I recently listened to a webinar titled “The State of Performance Management: What’s Broken and How to Fix It” and I found myself agreeing with a lot of what was being said. More than a lot actually. Pretty much all of it. 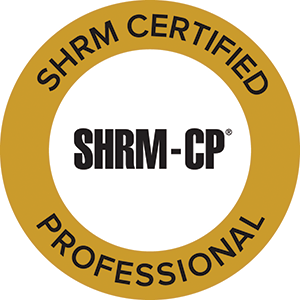 The presenter, Kevin Eikenberry, explained that one of the main things wrong with performance management is the term itself. To paraphrase him, we use terms like performance management/evaluation/review/assessment but people don’t want to be managed, evaluated, reviewed or assessed. The terminology alone puts people on the defensive, and leads to anxiety and stress. Who needs more of either? Do you? I certainly don’t. So ultimately it doesn’t get done or it keeps getting put off until the last minute and then it’s done half-heartedly and the results are worthless. He suggested that instead we use the term Performance Development. Makes sense, right? After all, the process should, ideally, be designed to assist employees in knowing what they’ve done well and making them aware of areas for professional development. The process should also include a plan (i.e. action items) for that development to occur. The process should be positive, or at the very least not negative or demeaning and above all it should be useful. A phrase I read recently in regards to providing feedback is that it should be personalized but not personal. I agree. We hear a lot these days about the death of the traditional performance review. Well, that’s a death I won’t be mourning. The terms currently used (see above,) and thus the associated processes, tend to be neither positive nor useful. When people are told they are being managed, evaluated, etc. it automatically puts them in the mindset of being subordinate. When someone is tasked with managing, evaluating, etc. another person, it automatically puts them in the mindset of that person being subordinate to them. Eeek! Unless you’re in the military or in prison this dynamic sounds pretty undesirable and unnecessary to me. Should there be some type of objective metrics to gauge performance as well as strengths and opportunities for development? Sure. But the process needs to change and it starts with the nomenclature. Don’t even get me started on rating (for lack of a better term) people on expectations that aren’t clearly defined. (Meets or exceeds? How about what are they?? ) Or rating based on the recency effect i.e things that happened a short time prior to when the review is being done vs. the entire review period. (Great all year but made a mistake last month? No soup for you!) Or subjectivity vs. objectivity. (Self-explanatory.) There is a lot to talk about but this post is about words. Another thing that inspired me to write this post was my own 2015 “performance evaluation.” I reread it the other day in preparation for the 2016 version. To say I took issue with quite a bit of it would be an understatement. Not because I think I have no room for improvement or can’t take constructive criticism, but because most of the criticisms weren’t actually constructive. They were primarily personal and subjective judgments rather than objective, work-related statements that could be supported by facts or examples. This may sound like hyperbole but when I asked for examples of stated actions/behaviors that I considered to be negative I didn’t receive any. Not. Even. One. When I explained what the words being used to describe me implied, I was told “I didn’t mean that, I meant this.” However, that is what was written down and what will be attached to my employment file, without further explanation or clarification. So yeah, I was none too happy about the whole thing and I’m not looking forward to doing it all over again. I also got to thinking about the general terminology we use to describe relationship dynamics in the workplace. Boss. Manager. Superior. Subordinate. (See above.) Who came up with these?? I have never and will not ever refer to another person as my boss or superior. I’m just not built that way. In using those types of terms you are subconsciously (consciously, for some) indicating that a person is better than you and/or has power over you. Some people may be fine with using those terms but in my opinion, it’s an unhealthy dynamic. As you think, you will speak. As you speak, you will do. Ever heard of the phrase, speaking truth to power? Well, when the words you use are demeaning to yourself or others, those words will manifest as beliefs and actions. Your assignment, should you choose to accept it, is to be a change agent and turn your performance management process that doesn’t work (trust me, it doesn’t) into a performance development process. I’m sure morale and productivity among your employees will begin to improve, even if it isn’t bad to start with. And if it doesn’t, at lease you tried. If it’s not within your purview to change terminology and processes and/or shift culture on an organizational level, try doing it on a department level or on a team level. Whether you effect change on an organizational, departmental or individual level, every journey begins with a single step. Never forget, WORDS MATTER. I first saw the article posted in an HR group and all the comments I read focused on how difficult this would be to track/validate and how employees were bound to “abuse” the leave. While I do understand the HR professional mindset behind needing to track everything, being in compliance, etc., I have always taken issue with the belief that the majority of employees will take any opportunity to “abuse” their leave. If an employee has accrued (or become otherwise eligible) for leave, how is using it abusing it? If an employee has 52 days of sick leave and they take one day a week for a year, are they abusing it? Even though they’ve earned it? Isn’t that what it’s there for? Hmm.. I believe an organization’s leave policies and attitude towards usage of leave mirror their level of trust in their employees and reflect their organizational culture. Employers worry about “leave abuse” when they know their employees may not enjoy coming to work. Toxic environments lead to low morale which leads to less productivity, more health issues (physical and mental) and in turn more time away from work. In environments and cultures where employees don’t dread going to work, this is not a concern. I’ve read several articles stating that employees tend to take less leave at companies that have unlimited leave policies. The employers trust their employees to get their work done and take leave when they need to, for whatever reason, and in turn the employees are productive without having to worry about how best to use their limited leave or what to do when unexpected situations arise. Going back to the original article, I’m sure that organization has fostered an environment in which they can trust their female employees to utilize the “period leave” as needed and not to “abuse” it. I’m sure the women who work there who could use the leave appreciate their employer caring enough to offer it and in turn, will be happier and more productive knowing that they won’t have to worry about their jobs simply because of a natural body function. I’m not saying this would work for all employers or that all employers should offer it. But I do believe it’s a great example of an “employee first” culture and we need more of those. P.S.- It isn’t lost on me that this company is not in the U.S.